I was hoping to have my Vermont film scans by today, but looks like they won't be making it. 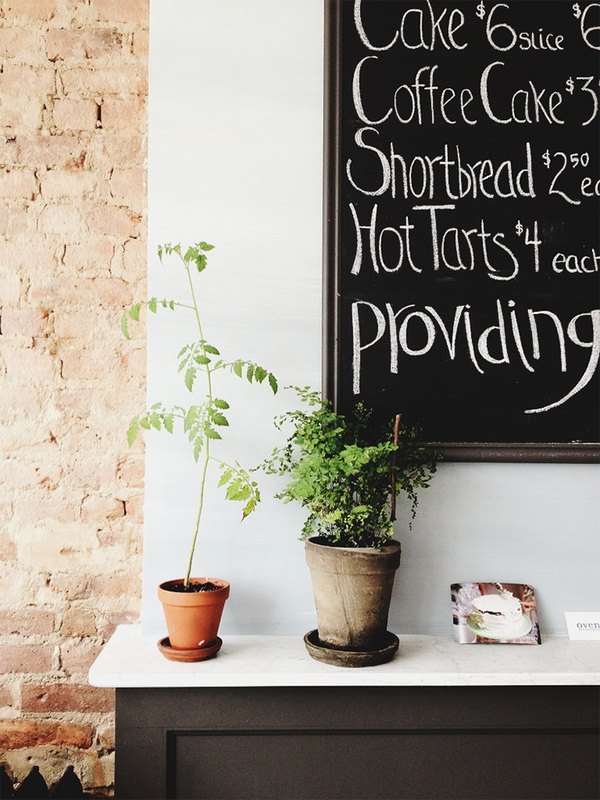 I'll leave you with an iPhone shot from Ovenly, the very cute pastry shop in Greenpoint. that looks like it is a super cute shop! i love almost anywhere that has chalkboard signs. (: blessings on everything you have to do! I'm disappointed to hear you'll be leaving the East Village - I know you love it! I'm sure you'll end up in a wonderful location none the less. I am sure your new neighborhood will be even more beautiful. Loved even this terribly blogged week's last photo. :) all the best ! Your photos are always so beautiful. I have the same plant on the right, only different pot. Moving can be quite stressful. Hope your new place will be even better than your old one.